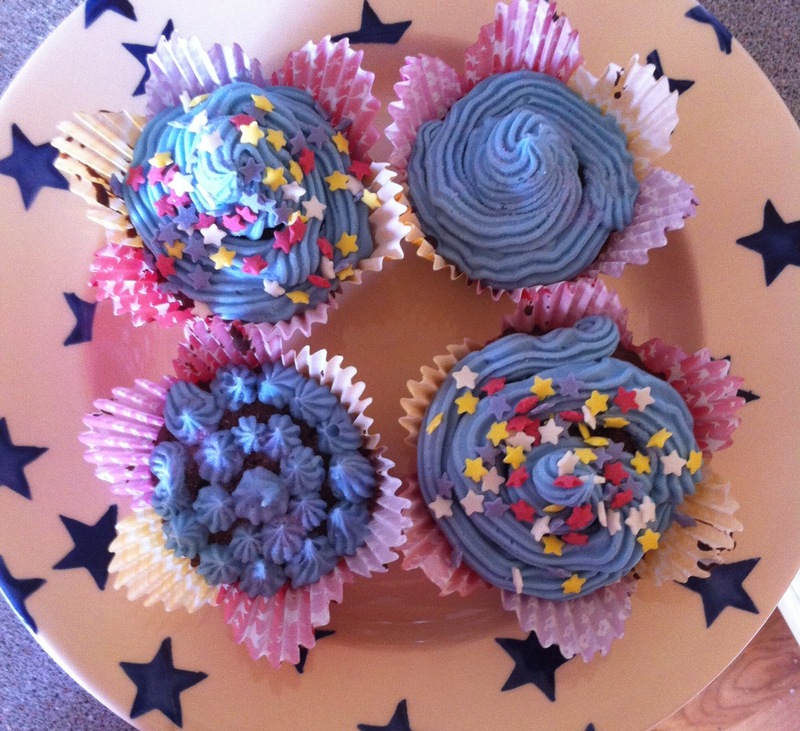 Start by making the cupcakes. Cream together the butter and sugar until it is light and fluffy. Add in the eggs and mix together well. 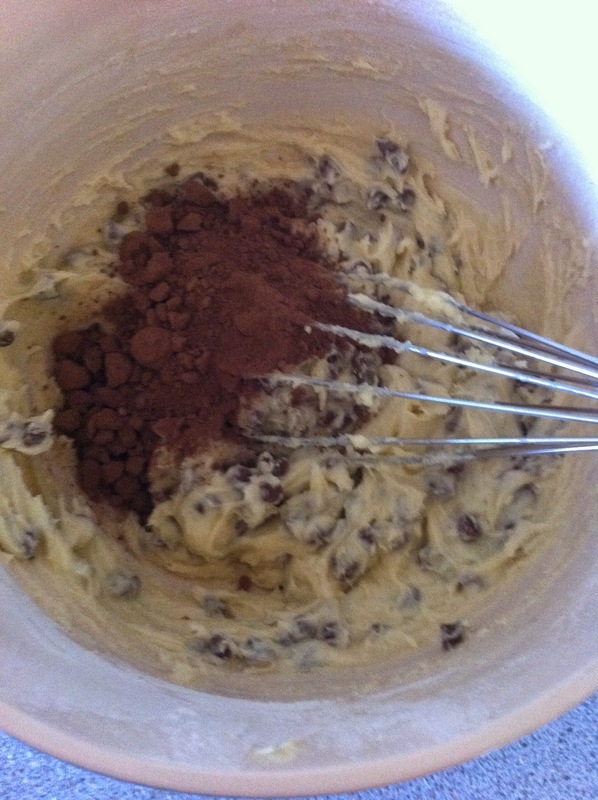 Fold in the flour and cocoa powder to the mixture then do the same with the chocolate chips. 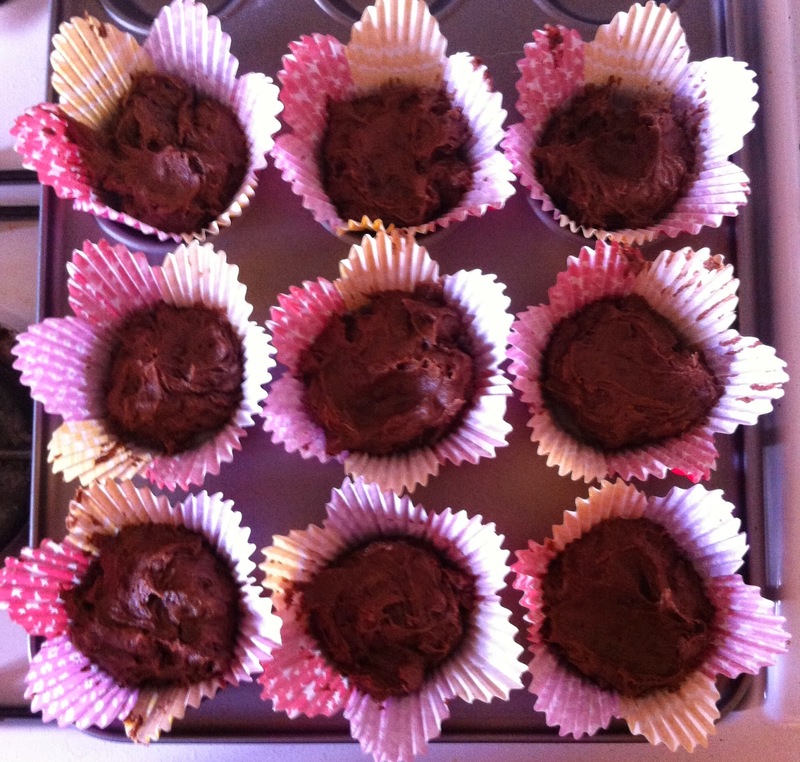 Spoon the mixture out into 12 cupcake cases and put in a preheated oven at 160C for roughly 20 minutes. 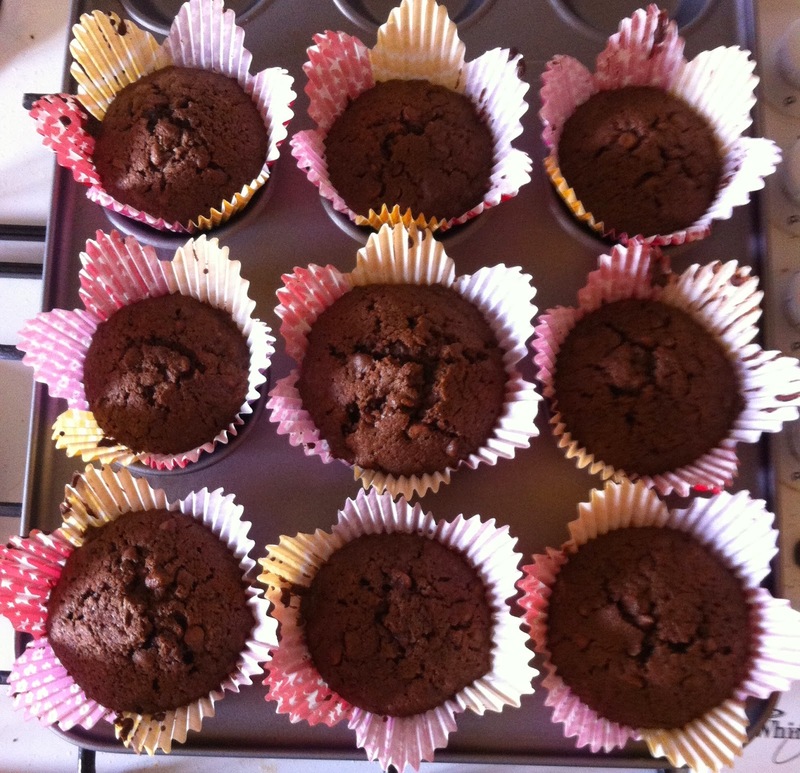 It is always best to cook cakes on a low heat so that you get an even bake and you don’t burn the tops. When it is coming to the end of the cooking time, keep a close eye on them and keep checking by either sticking a knife in and seeing if it comes out clean or pressing lightly on the top and seeing if it springs back. Take the cakes out of the oven and leave them to cool. 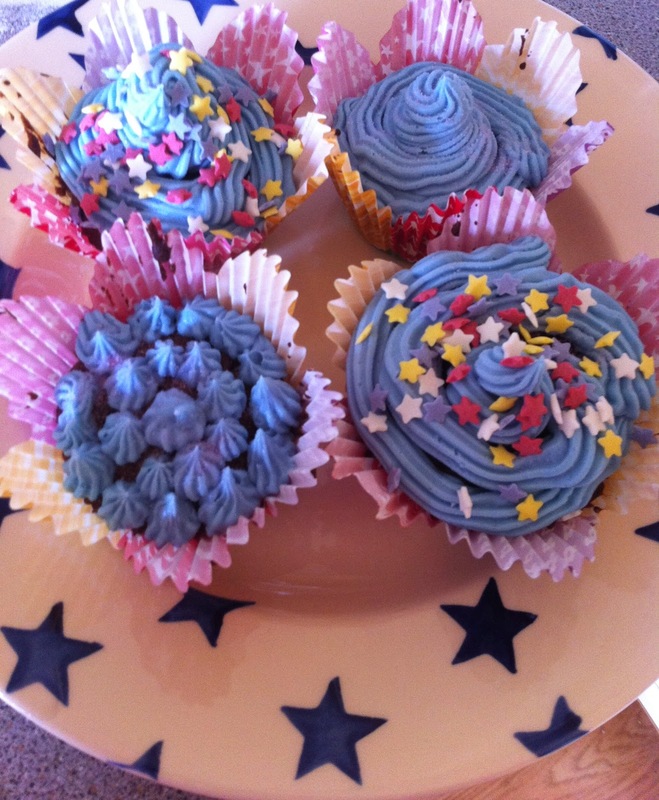 In the meantime, make the blue icing. Obviously you can make them any colour but I wanted to do something a bit different instead of my typical pink! First cream the butter till it is smooth, and then slowly adds in the icing sugar making sure that it is all blended together. Then add in the milk and food colouring. 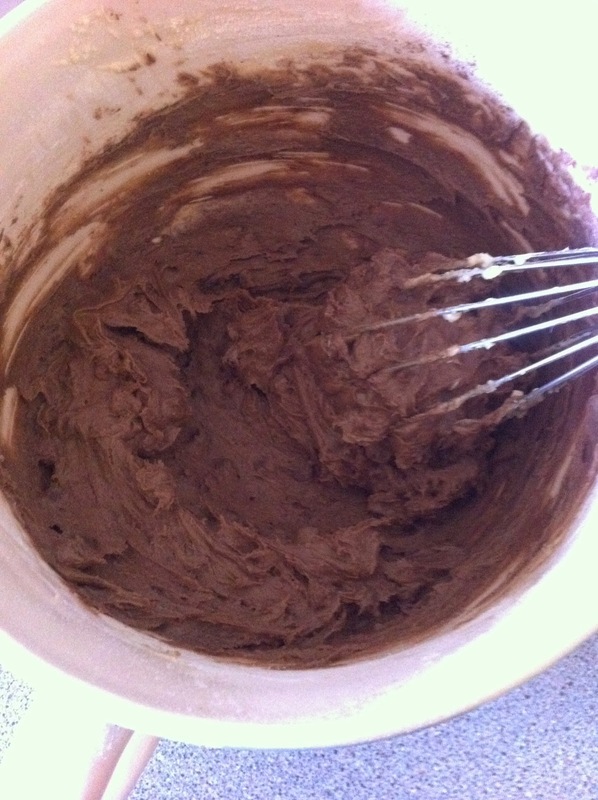 Whisk it all together until it is thoroughly blended together then pour into a piping bag to pipe onto the cakes.